can you believe we are already into the second month of 2019? where does the time go? have you kept all of your resolutions thus far? (psst I won’t tell). one of my new year’s resolutions is to refresh my bathroom, the one place where i truly get to unwind and enjoy a little me-time. despite being the center of rejuvenation, the bathroom is often the most neglected room in the house (shock!). the bathroom is also one of the most accessible places to improve upon with simple fixes. whether you need to get rid of those old towels or want to prepare for hosting season, roll up your sleeves and get ready to refresh that bathroom! here are a few of my top tips for a quick and easy bath revamp. if you are going to splurge anywhere in your bathroom decor, update your towels. a soft fluffy white cloth will do wonders for the overall look of your powder room. do not make the mistake of trying to jazz up the loo party with a funky, vibrant towel. the vibrantly colored sheet will result in a discolored mess of a cloth. 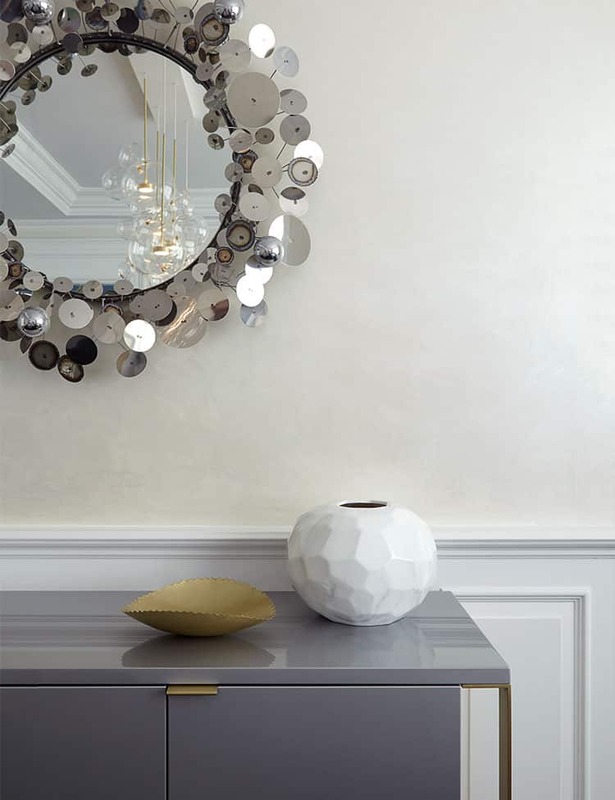 white will resist fading, won’t go out of style and pairs with any bathroom decor color scheme. white is the only option when you are trying to achieve the classic five-star hotel bathroom ambiance. have you ever been to a hotel that did not have freshly stocked winter white towels? my point exactly. i suggest having a charcoal washcloth reserved for your beauty needs. the darker shade will help to mask the product residue that ruins a crisp white cloth. i learned this trick from one of my favorite commute podcasts, the sheri + nancy show. the ladies were spot on as i noticed the trend during a trip to one of my favorite hotels in the city, the ace. among the stack of fresh white towels in my room, was a black face towel neatly embroidered with the marker “makeup.” swoon. seriously, ditch the ugly bath mat! the overlooked bathroom staple can become pretty dingy over time. adding a new bath mat is an excellent way to freshen up your bathroom. be sure to pick a rug style that is complementary to your towels. select a mat with a luxurious, shaggy pile if you prefer thick and fluffy towels. if you favor a thin bath sheet a la european hotels, follow suit with a slim bath rug style. remember, a thicker pile will have your tootsies dry in no time. consider using a warm, organic textured rug for a spa vibe. a bamboo mat is a sustainable savior that is durable and easy to clean. one of the simplest ways to refresh your bathroom decor without spending mad money is the addition of new accessories. accessories will keep your bathroom looking nice and tidy (anyone else feeling inspired after reading spark joy?). the items lining your sink shouldn’t be a mishmash. choose a similar shade and finish for all of your items to bring the look of the room together. i love this modern collection from fellow new yorkers,kassatex. the white resin design detail is delicious and sleek. 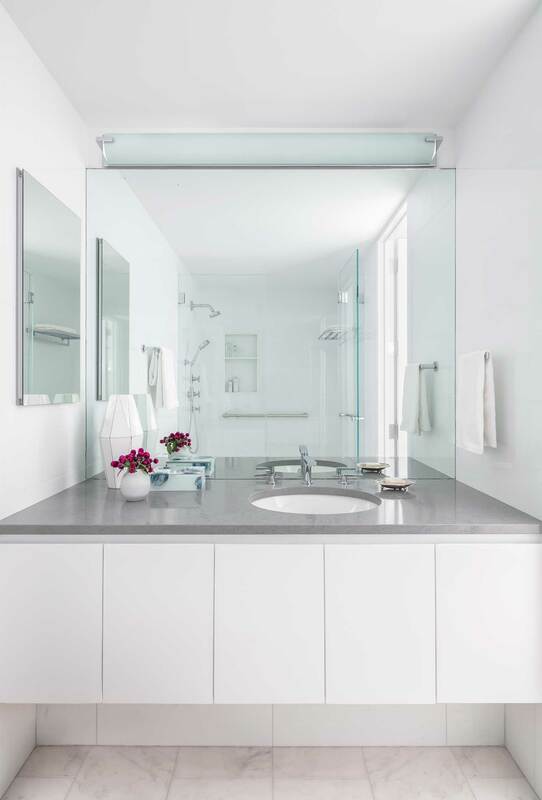 clutter control is vital when it comes to creating a calming bathing space. i love this jar from the white company to store band-aids. always keep band-aids on hand to help soothe pesky blisters that pop up after dancing all night at a cocktail party. for those lotions and potions, you can’t live without; a sturdy caddy can help keep your product army organized and accessible. i recommend a clever catch-all, a place to put jewelry, eyeglasses and other items that we do not want to risk losing. here a few of my favorite bath and body products that i am going gah-gah over in 2019.
one of the most significant events to happen in the world of skincare is the removal of parabens from the kiehl’s product line. meet my new and improved skin savior, kiehl’s ultra facial cream. my favorite magic potion still retains all of its glory without the pesky parabens. rejoice, it is also arriving at major beauty retailer, ulta in 2019. i use the universal cream every morning and night to keep my combination skin hydrated. to see more of my favorite kiehl’s products, check out winter skin must-haves. i love to stimulate my senses during my morning routine. nothing sets the mood like a beguiling scent. my signature spritz is diptyque olene eau de toilette. i spray on a little bit right after i get out of the shower, so the perfume soaks into my skin to last from morning to night. diptyque has a wide range of fragrances to suit every taste. you can’t go wrong with any of their scented candles. fun fact: prince harry and meghan markle chose the luxury fragrance brand to scent the royal wedding! while we daydream of glorious bathtubs, the self love bath + body ritual kit from herbivore is the perfect bubble bath companion. no wonder the set appeared on several best gift sets lists for 2018. the self-love gift set includes everything you need for a full diy spa session: bath soak, body scrub, and a heavenly oil to moisturize after the chicest bath ever. i recommend a gentle dry brush session to prep your skin for your bubble bath ritual. admittedly, i was skeptical upon first hearing of the trend. i jumped on board to remedy my dull winter skin in preparation for a spring vacation. this brush from goop is perfect for getting rid of those pesky dead skin cells to reveal smooth, glowing skin. full disclosure – i recommend dedicating at least four weeks of solid scrubbing before you can fully reap the benefits of the dry brushing process. disclaimer: if you have sensitive skin beware as there is such a thing as too much exfoliation. you can do more harm than good by going overboard with rigorous scrubbing (guilty). i stumbled across the perfect remedy for over scrubbing from aveda. you can use the shampure oil as a cuticle oil, massage oil or you can pour it into your bath. is there anything cozier than wrapping up in a soft robe after you hop out of the shower? ok, maybe a glass of champagne and an episode of mad men. to achieve five-star hotel powder room status, place a robe on a wall hook outside of the shower. helpful tip: think seasonally when making your robe selection. select a thin cotton robe for summer months and a thicker one for winter. embrace your inner mother earth. plants bring life to a room. succulents are practically indestructible for those of you not blessed with a green thumb. i even have an aloe vera plant nestling on my sink. a helpful tip: place your plants near your shower to turn over a new leaf. the once thirsty plants began to thrive in the hot and steamy environment. my bathroom is now a calming jungle oasis. live plants not your jam? you can go artificial if needed. no one will know. a good old fashioned scrub down can do wonders for your bathroom. get rid of that grout line grime! hopefully, these tips will help you create the bathroom oasis of your dreams. remember, you spend a lot of time in your bathroom, so make sure it makes you feel happy! what changes have you made to your bathroom recently? share your tips and tricks in the comments below! do you want to make significant changes but need help getting started? 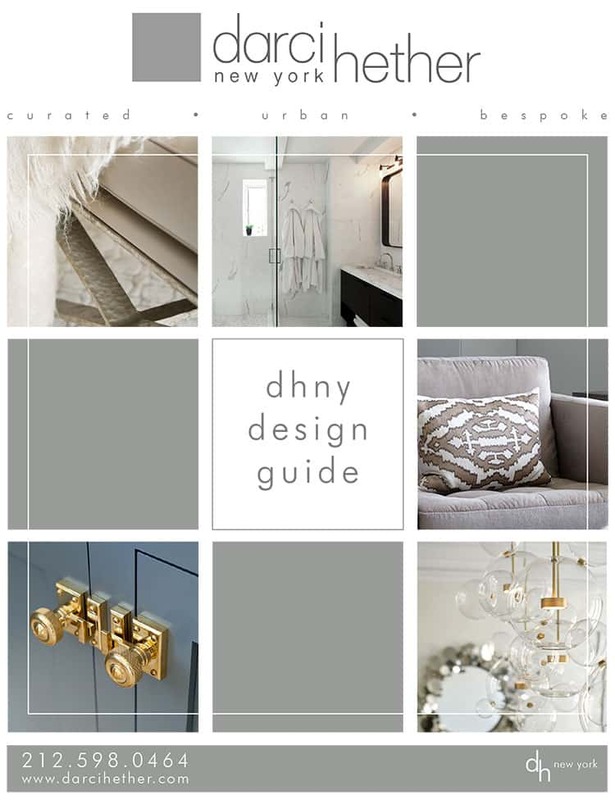 the dhny team is here to help you with all of your bathroom decor needs. give us a call!